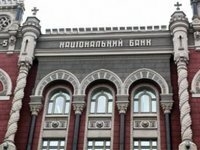 The analysis of the state of assets of state-run Ukreximbank and Oschadbank (both based in Kyiv) conducted by the National Bank of Ukraine (NBU) in January 2017 revealed worsening of the quality of some credits in the past year, the Finance Ministry said at a press release after a meeting of the financial stability council held on January 31, 2017 and chaired by NBU Governor Valeriya Gontareva and Finance Minister of Ukraine Oleksandr Danyliuk. "The discipline of servicing the credits by many large borrowers significantly worsened, and some companies stopped servicing credits. This resulted in the increased need in additional capitalization of the banks in 2017. The final sum of the additional capitalization will be determined, taking into account possible positive effects from restructuring of some debts under the law on financial restructuring. At present state-run banks observe the NBU's requirements to the size of their regulatory capitals," the ministry said.